Agreeing with his counterpart, winning captain Rohit Sharma was also critical of umpiring standards in the ongoing cash-rich Indian Premier League. 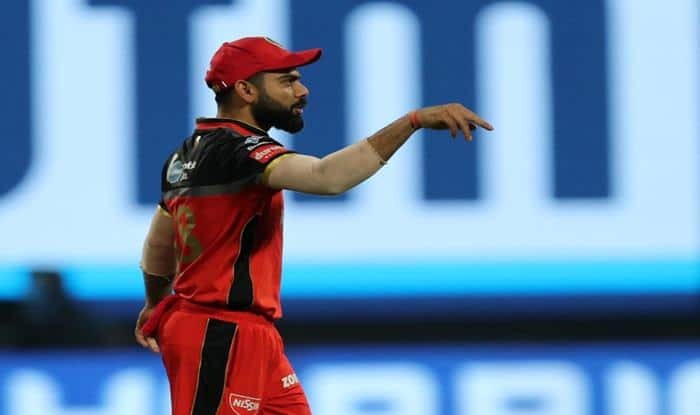 An angry Royal Challengers Bangalore captain Virat Kohli came down heavily on ICC Elite Panel Umpire S Ravi after the final delivery of the match bowled by Mumbai Indians’ Lasith Malinga turned out to be a ‘no-ball’, which was not awarded to the losing team. More importantly, winning captain Rohit Sharma was also critical of umpiring standard during the match. “We are playing at the IPL level. It’s not club level, the umpires should have their eyes open. That was a big no-ball,” a livid Kohli said at the post-match presentation ceremony. Incidentally, Ravi is the only Indian umpire in ICC’s Elite Panel for a number of years now as none of the others have been good enough to be elevated. Needing 7 to win and six to take it to Super Over, Malinga’s full toss yielded only one run but the big screen replay showed that the bowler had overstepped and a free hit should have been awarded. Had it been a free-hit, AB de Villiers batting on 70 would have faced with five needed to win. “We should have done a better job with the ball after they were seven down. The last few overs were brutal for us. Bit of a mistake from me to take Bumrah on at that time. Bumrah makes a hell of a difference in any team,” the RCB skipper praised his India teammate. “Honestly, I just go to know after crossing the rope that it was a no-ball. These kind of mistakes aren’t good for the game. The over before that Bumrah bowled, a ball which wasn’t a wide but it was called,” Rohit referred to a decision given by another umpire C Nandan. “Anything over 180 you can fight with. It wasn’t a safe score but we had the bowlers to get the job done. Even though Virat and AB had a partnership going, we didn’t panic. I thought we stuck to our plans, it was a great effort by the bowlers. Should have got 200 with the bat on this pitch.